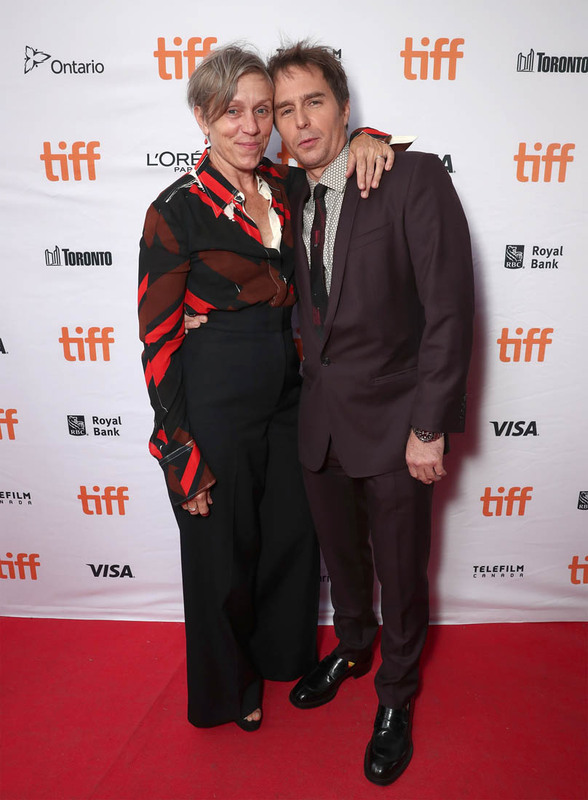 Mildred Hayes (Frances McDormand) lives at the end of a lonely road in rural Missouri, the only thing marking her way are three decrepit billboards. She buys the ad rights for the billboards and up go three violently red billboards asking the town police chief why her daughter’s murderer still hasn’t been caught. And so begins the story of the three billboards outside Ebbing, Missouri. It’s a story set in Middle American decline, but its roots are mythological. This is anger, violence, tragedy, forgiveness, and revenge of Hellenic proportions, and all because a woman asks a question of a man. 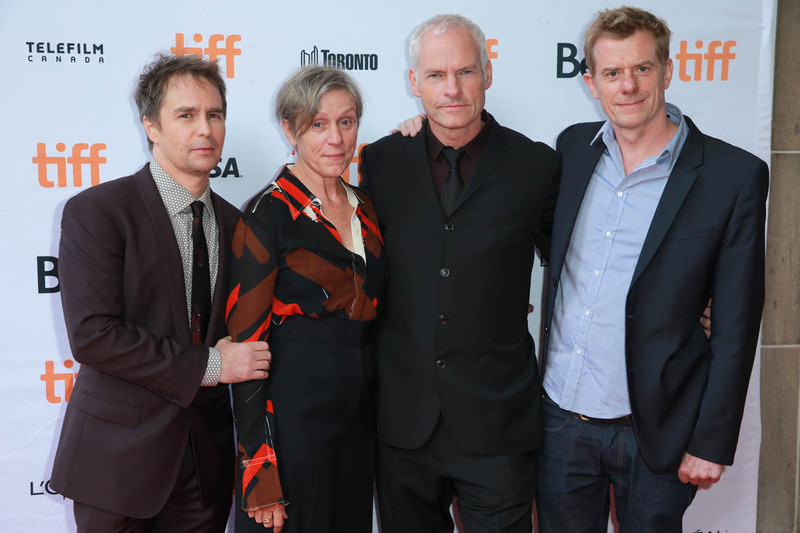 Three Billboards is Martin McDonagh’s third film, following In Bruges and Seven Psychopaths. 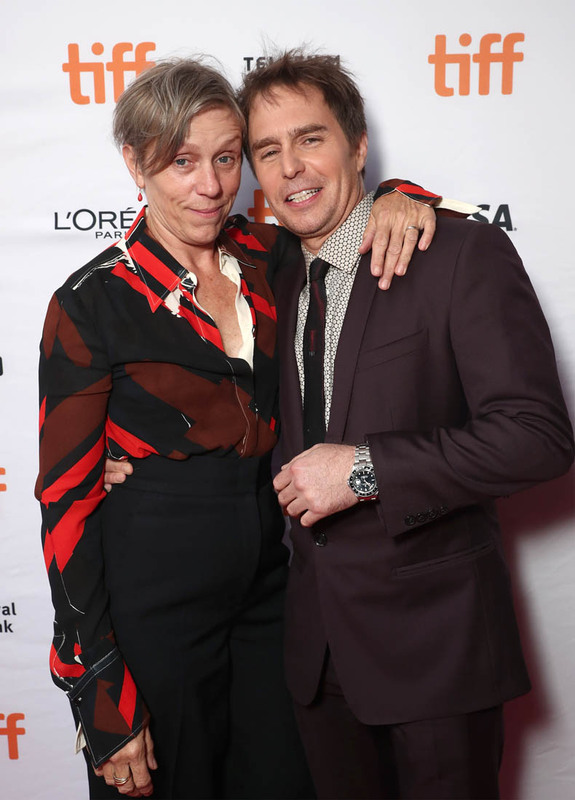 McDonagh is also a playwright, and that shows more in Billboards than it does in his previous works, which have great dialogue, too, but the pacing of Billboards is that of a play, with spectacular monologues that include applause breaks, which are useful as the audience burst into applause following a scathing monologue about culpability delivered by McDormand. 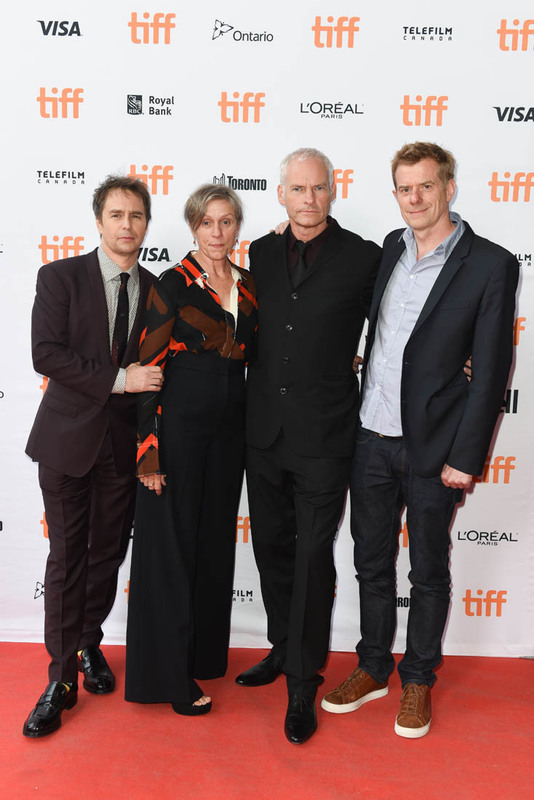 But Billboards still speaks the language of film, with incredibly well-staged scenes and a great visual gag involving Officer Dixon (Sam Rockwell) and his music. There’s a strong Coen Brothers streak in Billboards—aided by the presence of McDormand—but there is more forgiveness in Billboards than you’ll find among the Cohens’ films. Mildred is still grieving her daughter, and is frustrated and angry that there has been no progress in solving her case, but though she singles out Chief Willoughby (Woody Harrelson) in her billboards, it’s not about attacking him, though most of the community sees it that way. Willoughby is sick, you see, and everyone just wants Mildred to lay off—including some audience members. After the screening, a couple guys behind me asked each other why Mildred couldn’t just get over it, after all, Willoughby seems like a pretty good guy. But it’s not about whether or not Willoughby is a good guy, and Mildred never doubts his sincerity. She just wants him to find her daughter’s killer, preferably before he dies. But the story is really about Officer Dixon, the kind of dim bulb character only Sam Rockwell could play. He looks like a Barney Fife type, but right away we learn there is an incident on his record in which he (allegedly) tortured a black man while in custody. When Mildred puts up her billboards, the non-white citizens of Ebbing support her, because this town is a microcosm of America, in which there are two justice systems and they do not work equally for all. Dixon represents the “bad apple”, in whom, for some reason, Willoughby sees some good. So the question of Billboards isn’t really the one Mildred puts up on her signs, it’s whether or not Mildred and Dixon can let go of their anger before they utterly destroy themselves and each other. The road to forgiveness, of self and others, is not easy, and Billboards does not present a final answer. It resists pat resolution and leaves the ending open for interpretation. But the tone of the film definitely shifts in later stages, from the raw, angry nerve of the opening act, to a more reflective tone that allows forgiveness to find its way into the characters. Dixon, particularly, must find forgiveness from people he has hurt, and it comes to him through small acts of kindness, from being shown a basic decency he has never shown anyone himself. Does he deserve it? That’s up to you. 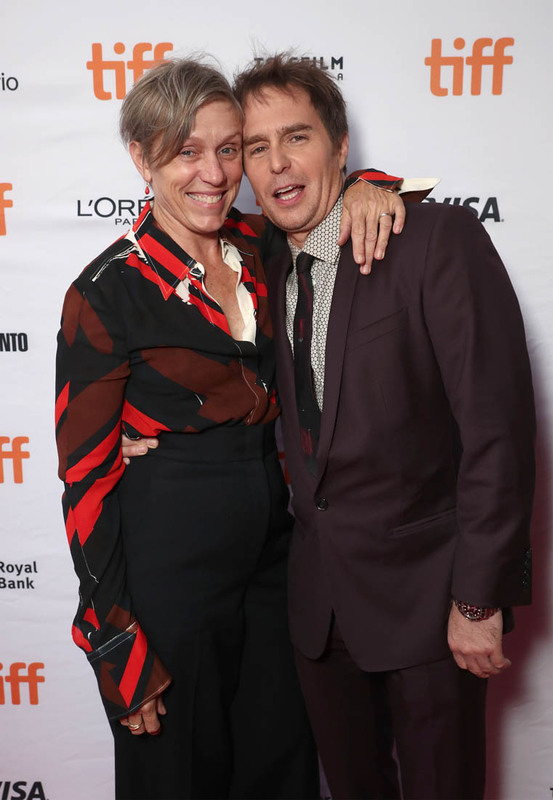 Three Billboards is dark and profane, at times funny and at others tragic. It’s a joy to watch, perfectly cast with great actors who are given some of the best dialogue you’ll hear all year. 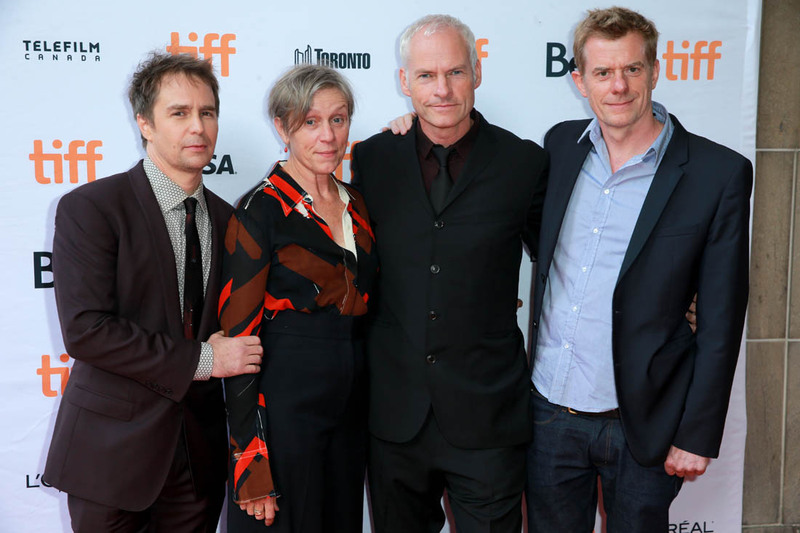 It feels like these roles could only be played by these actors, that only Martin McDonagh could imagine this world, which is essentially an outsider’s view—McDonagh is Irish—of contemporary America. But it’s a searing portrait, at once condemning and forgiving. Three Billboards is fueled by anger, but it’s the chance for forgiveness that propels the characters through the story. It starts with one question and ends with another, and we’re left to wonder whether or not the cycle of violence and destruction continues, or if that forgiveness, once offered, is enough to overcome hurt and anger.